Two physicians in Georgia were sentenced last month for their roles in falsifying DOT records. An investigation by the DOT-Office of Inspector General revealed the physicians routinely signed DOT medical examiner’s certificates and medical examination reports for commercial driver’s license (CDL) holders without examining the drivers. The physicians were sentenced for their roles in a conspiracy to falsify records with intent to impede the proper administration of the DOT. One physician was sentenced to 15 months in prison, three years’ supervised release, a $3,000 fine, and $4,900 in special assessment and court costs. He was indicted in March 2018 and pleaded guilty in May. The second physician received a sentence of 30 months, three years’ supervised release, and a $6,000 fine. He was convicted by jury trial in June. 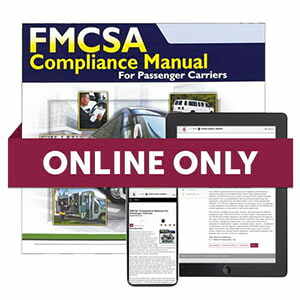 J. J. Keller's FMCSA Compliance Manual For Passenger Carriers provides comprehensive information regarding FMCSRs specific to passenger-carrying vehicles.